Who wants to be an insider when you can be an outsider? Joe Ledbetter and Kidrobot team up to present an all new vinyl mini series! Crafted in true Ledbetter style these rowdy animals march to the beat of their own drums. 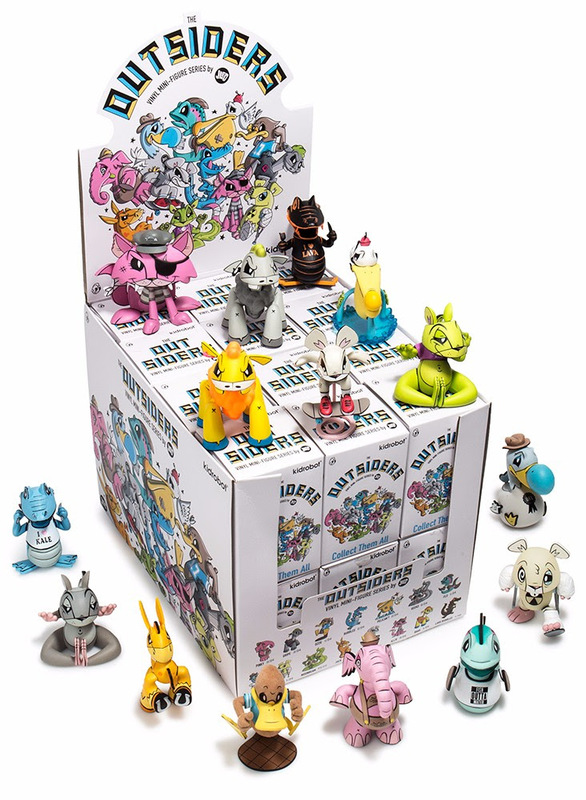 Collect all 15 to prove you’re a true outsider! Joe Ledbetter has perviously worked with Kidrobot on such projects as Pelican’t Medium Figure, Teeter and the Finders Keepers Mini Series. Also, check out the Limited Edition Pelican’t 8″ Medium Figure by Joe Ledbetter! !